Berlin is always full of surprises; you can wander down town and somewhere you think you know is suddenly transformed. 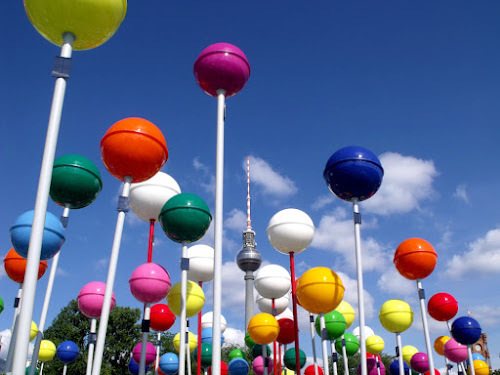 Today for example, Schloßplatz on Museuminsel had suddenly sprouted a forest of colourful lollipops. 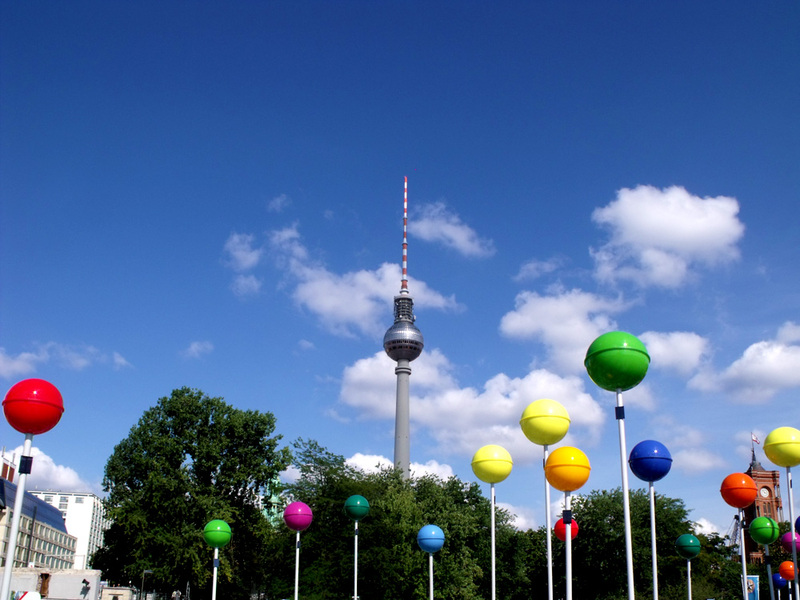 They seemed to mimic the shape of the Fernsehturm. 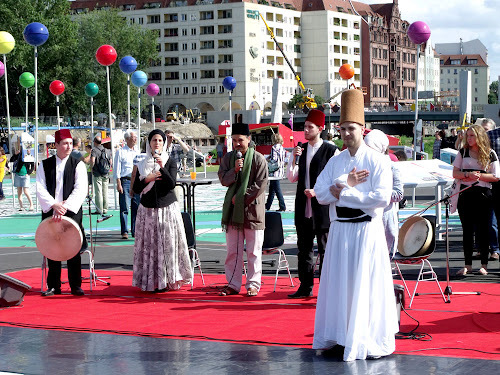 What on Earth could they be? 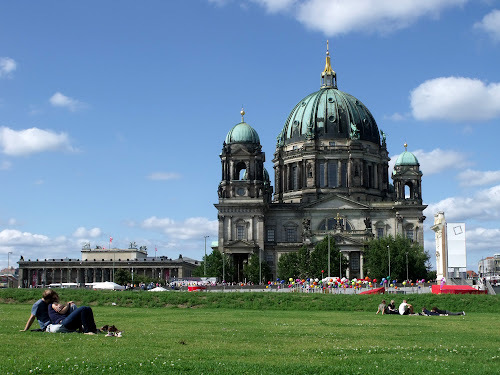 From afar they were a splash of colour dwarfed by the Berliner Dom. 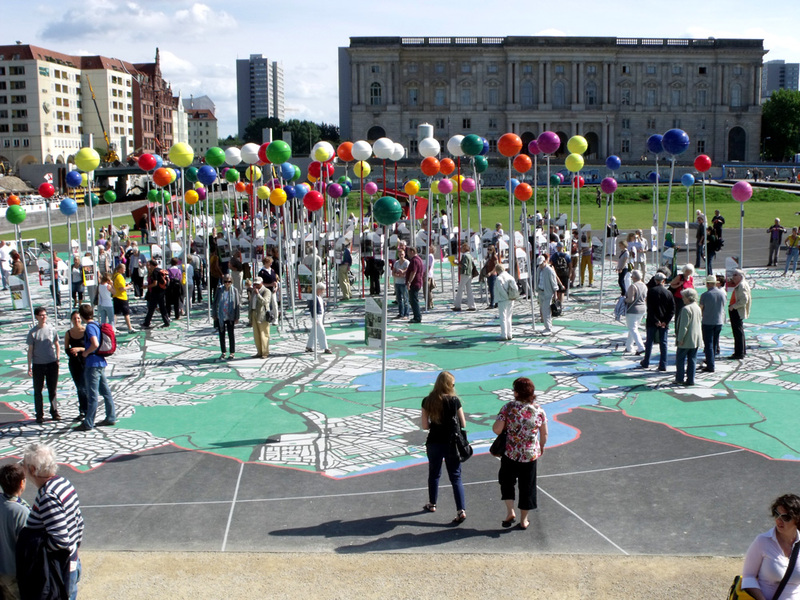 Actually, they weren't supposed to be lollipops at all, but pin markers in a gigantic map of Berlin. 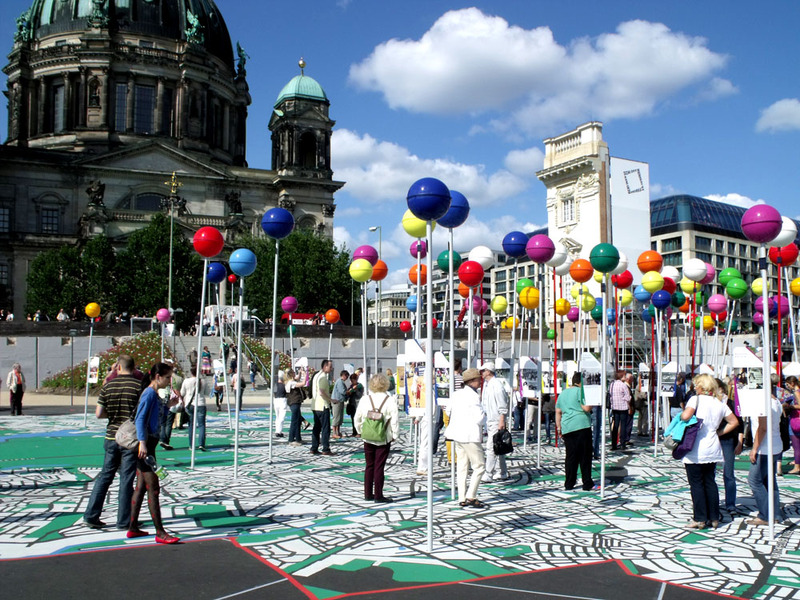 It was part of Berlin's 775th anniversary celebrations. A fifty metre squared map had been painted onto the concrete at a scale of 1:775, and each pin-marker was set into a location representing a multi-cultural event in Berlin's history. Beside it was a festival celebrating Berlin's diverse religious cultures, including a devotional dance and music performance by whirling Dervishes!